Lloyd's Register’s Brady Austin, Bill Mason, Garry Moon and Jarret Reeves consider the current state of gas detection and explore whether there are other areas that will increase risk management cost-effectively and, in turn, enhance operations onshore and offshore. 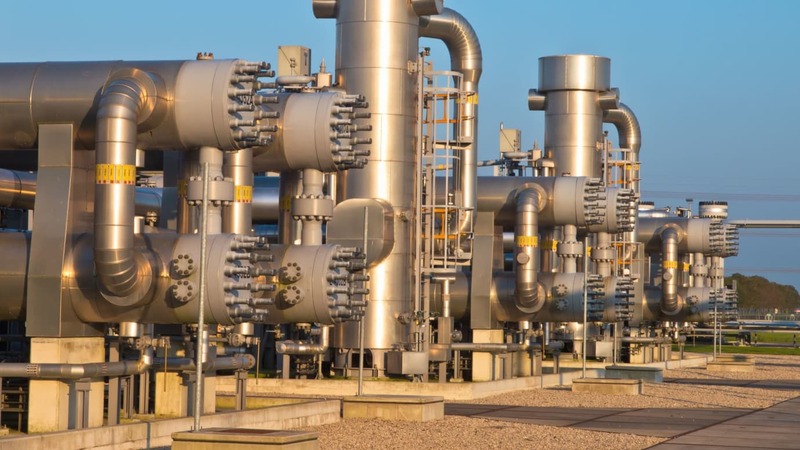 The thought of gas vapour leaking, escalating and finding an ignition source keeps the upstream, midstream and downstream businesses awake at night. It is a powder keg of a problem in terms of safety and environmental risk that needs addressing. It is also integral to a company’s commercial success. Recent industry fines associated with gas escapes have been hefty, as legislation finds its teeth in a number of regions. Given that unplanned shutdowns have proved even more costly, what else can be done in tackling this issue head-on? Are there other areas, away from gas detection systems, that will increase risk management cost-effectively and, in turn, enhance operations? Fixed and portable gas detection systems are relied on to prevent losses, forming an important part of formal risk management. But such devices cannot be designed to cover every probability and, now and again, a detector will fail. They are one link in a chain, as is the case for all preventive safety systems industry-wide. Gas detection systems also bring some unique challenges. Increasingly, the reliability of conventional systems, which use catalytic sensors, are being questioned. Many now argue that these commonly found devices will not detect the majority of leaks until the escaped gas reaches a hazardous level. In addition, sufficient hazardous accumulations are unlikely to be detected in open areas or certain conditions, such as where there are high winds. There have been some promising advances in recent times, with open path gas beam detectors beginning to replace their catalytic counterparts. Advocates of these new systems claim they improve detection by covering a larger span. However, there are still occasions when a leak doesn’t break the infrared beam and will remain undetected. Elsewhere, acoustic systems are being championed as providing the most effective means of detecting high-pressure releases, even from pin-hole size leaks. Ultrasound is a well-established technology in many areas of engineering and, given that most leaks generate ultrasound, the signs are encouraging. For now though, these solutions remain on the horizon, with only hazardous accumulations really being detected. Added to all of this is another obstacle; it is often difficult to quantify the parameters involved with gas detection. Defining the required performance, and then relating that to safety requirements, is far from straightforward. Getting back to basics points an interesting way ahead. Let’s consider what causes a high percentage of gas leaks, onshore and offshore. Fugitive emissions from process equipment may be small-size releases individually, but they soon add up, forming the majority of the industry’s total emissions in fact. These types of emissions occur from non-point sources. Leaking pipe flanges, often as a result of poor bolting during operational maintenance, are a chief culprit, along with issues with pump seals, valves, damaged pipework, hoses, loss process couplings and other related components. With a modern refinery having kilometres of pipework, by way of example, we can start to picture the enormity of the scale of gas detection. There are also the end devices themselves to think about. Many of the process control and safety devices make use of gas to perform their functions, further releasing gases into the environment. Improved gasket materials and bolting techniques have made some difference in preventing gas from escaping, and likewise making use of electronic control devices, as opposed to conventional gas and pneumatic control systems. By and large, however, it would be fair to say that the process of operational maintenance has not fundamentally changed for half a century or so. It is time then to explore a little wider. Besides pinholes in pipes, there is a huge data gap when it comes to a company’s pipelines and pipework. The problem is not always the lack4 of data itself, which often exists in some form or another. The challenge is connecting this data up. The common industry practice is to use an Enterprise Asset Management (EAM) system, such as IBM Maximo or SAP, to schedule maintenance of physical assets across their lifecycle. These systems have tended to hold data on what have been defined as core elements. This invariably excludes the pipes that join up such elements, often with the plan to add information about these at a later time. We would estimate that around 10% of companies define their pipe in their planning system; the vast majority of related maintenance and procedures will therefore fall outside of the central system’s work order. Imagine thousands of recommendations, made by highly qualified inspectors, being recorded on spreadsheets that sit separately from the EAM system. This lack of joined-up data is a worrying thought. If we think about the Swiss Cheese model of accident causation – with defences against failure modelled as barriers, represented as slices of cheese – this data gap significantly increases the number of holes. If one such hole aligns through all the barriers, the result is a potentially catastrophic gas leak. What is more, the data gap goes beyond knowing whether you have a piece of pipe and if it is flanged or not. Companies also need to know that their personnel are following the appropriate procedures every time. Critically, has there been a proper analysis to define whether the gas in that pipe is toxic or inert? Is it reactive? Along with risk analysis, one way our organisation is helping the onshore and offshore industry is by bridging this data gap cost effectively, enhancing value by leveraging existing EAM investments, functionality and processes. We have recently launched AxximTM, our third-party software solution, which is easy to embed into leading EAM systems. During the solution’s development, we have found that EAM OEMs have welcomed engineering expertise being brought to their platforms, helping to ensure that all asset-based data is integrated. AxximTM works alongside all the best practice decision-making tools, including Risk Based Inspection (RBI), Reliability Centred Maintenance (RCM) and Root Cause Analysis (RCA). Connecting the data in one common place will empower upstream and downstream oil and gas operators, and chemical, power and other asset-intensive companies, to make better strategic and tactical decisions when it comes to asset optimisation. We predict AxximTM will increase equipment reliability and uptime by at least 20%, reduce failure risk by more than 90% and determine an optimum approach to inspection and maintenance that could achieve costs savings of up to 50%. These are important advantages, given the tough conditions currently faced by both the upstream oil and gas industry and downstream market, and ever increasing pressure to reduce asset downtime. The cost of failure can have huge consequences on human life and the environment and, in terms of unplanned shutdowns, lead to billions of dollars of losses a year. It is estimated that equipment failures cost the US refining industry over $4 billion annually and, since 2009, well integrity failures have cost operators over $75 billion. Back to the Swiss Cheese model and one of a company’s safety layers is having the right people in place. This is equally as important as having adequate gas detection systems, especially when you look at commonly held industry statistics. Between 70% and 90% of all incidents, not just around gas escapes, will have some human factors’ intervention. Add manual gas detection to the picture and the human factors’ risk rises to its peak. This is borne out by the number of reported offshore incidents following the use of personal or mobile gas detection systems in confined spaces during routine maintenance. One example is the release of Hydrogen Sulfide (H2S) in slug-catchers as an outcome of clearing out sand. While a portable device may read safe if taken incorrectly in the space, H2S can sit in the sand and be released when disturbed with serious consequences. We have also seen an over reliance on fixed gas detection systems, which as mentioned earlier cannot be designed to cover all types of scenarios and eventualities. If, for example, there is no alarm sounded, but a diesel cloud is visible, what is the first responder mentality? The correct training here is absolutely vital. The same is true for emergency procedures. One example is telling, but there are many others. Whereas for most offshore emergencies, personnel move down and onto life rafts, an H2S escape means heading as high as possible, upwind of the leak. Knowing the type of gas leak and the next immediate steps is critical, and that knowledge must be shared. Making sure all personnel are fully trained is especially challenging for the offshore business because of the sheer numbers of contractors involved in the production process, notably on assets such as drilling rigs. And it is not just the lack of an alarm that needs to be considered. What if there are simply too many different sounding alarms? Creating devices that avoid ‘alarm flood’ allows control-room technicians to quickly diagnose problems. This can be the difference between a near miss and a major incident. Among all the complexity, what is clear is that making human error the scapegoat is fundamentally wrong. Identifying any human error as the root cause of an event – that is, people making poor decisions – is simply a failing of the incident investigation. What is required is a shift in mindset. While human error is the immediate cause of the issue, what was behind a member of the team making a mistake is the real question. The answer is always a lack of proper procedures, processes or tools. If a company’s approach requires there to be proper procedures, processes and tools upfront during the work-scope planning stages, then that business can effectively manage risk to an acceptable level. This will reduce the number of times personnel are put in the place or situation where they have to make an uninformed decision. We have known of cases, for instance, where training had not covered a particular event scenario, so personnel had incorrectly defaulted to the nearest known procedure. Here, the root cause was not that personnel hadn’t followed procedures, but that they lacked the necessary training in the first instance. Elsewhere, management of company change has highlighted real issues. As personnel leave a company, so too does valuable knowledge, with significant repercussions. The management systems created by a company are there to define how it conducts its business. Ultimately, any human error will point back to the failure of such systems. The problem may well be down to not having implemented all the correct systems in the first place, but it doesn’t stop there. Even in the case where all the necessary systems are in place and an event is caused by human error, this should be regarded as the company not having the right personnel to execute the work. The management system allowed the wrong person to be put in that position and therefore the system, not the individual, failed. Sometimes, the failure is in the hiring process itself or the induction process, which did not pick up on any issues with a new team member. In recent times, there have been some encouraging human factor developments, notably offshore. The business has widely adopted a crew resource management approach, inspired by the aviation sector. If something does go wrong or an unplanned event is noticed, information is shared immediately and a discussion is opened up. For potentially serious incidents such as gas leaks, this is a positive step forward. Preventing gas escapes onshore and offshore is a complex subject. It requires having all the necessary data on items such as pipelines and pipework, as well as core assets, in one single place, so that asset management and maintenance can be optimised. It demands excellent gas detection systems to be installed in the first place, which must be matched by an equally good maintenance plan to ensure detectors are in working order. Given that gas detection is alarm-led, when an alarm sounds it has to be regarded as important by all the personnel on that asset or in that plant. Everyone needs to know what to do next and how to act. Getting this right requires a range of skills on the mechanical, electrical, inspection, software and human factors’ side, which Lloyd’s Register is able to bring together for its range of onshore and offshore clients globally. Joining up the data and a range of technical disciplines and services is the best way for the industry to sleep soundly at night, without the worry of a catastrophic gas leak.